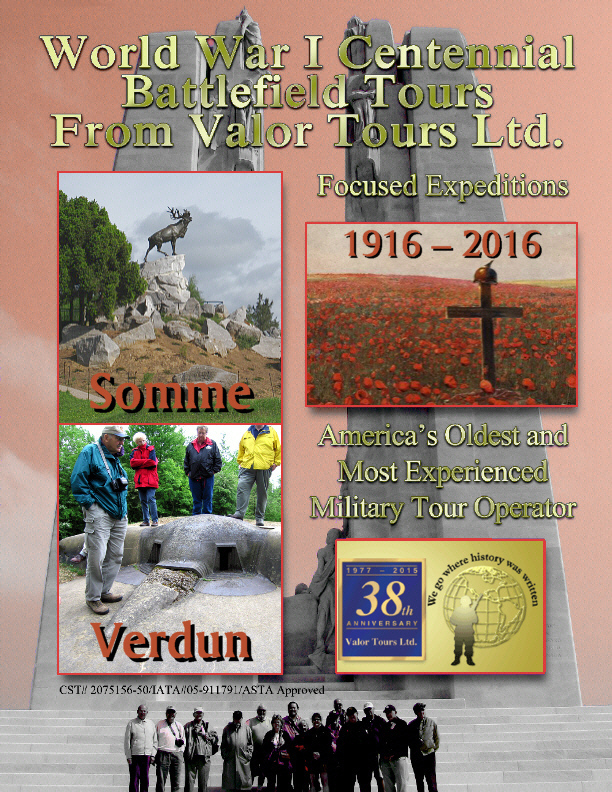 I promised to share my discoveries from my latest Western Front excursion with you, so here's the latest installment. 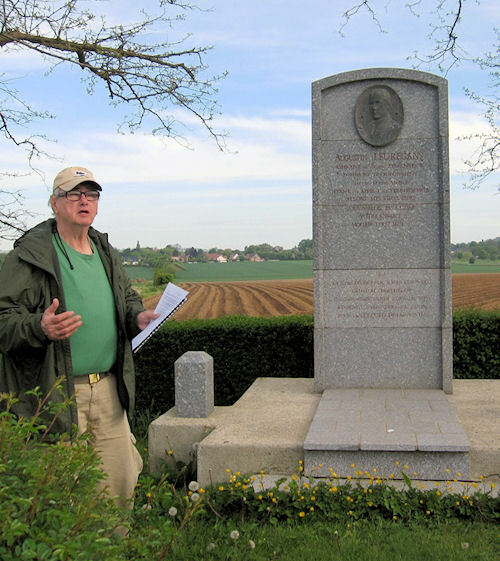 Below, I'm holding forth at a monument in the Artois area roughly midway between Vimy Ridge and Notre Dame de Lorette. 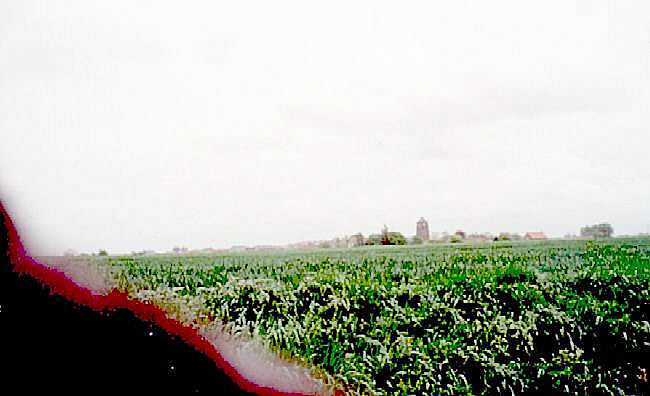 That's the village and battlefield of Neuville-St. Vaast behind me. Here's the story of the memorial. Sponsors: World War One Historical Association and the League of WWI Aviation Historians; click HERE for full program and registration. 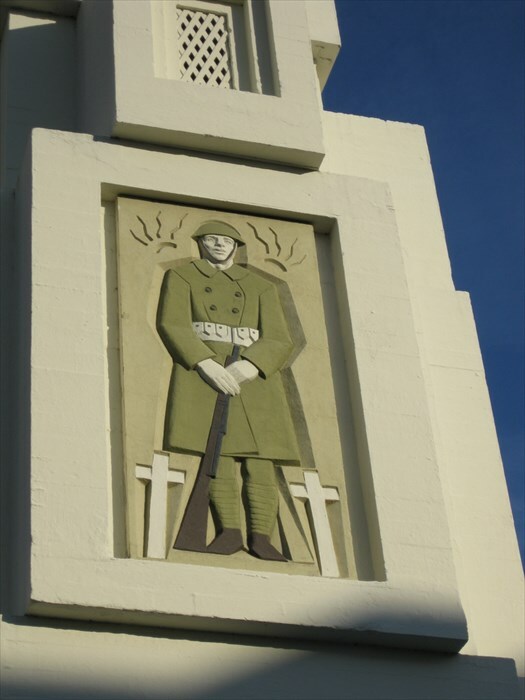 The interest in the Great War generated by the Centennial commemorations has led to an explosion of local events and ongoing displays of art and artifacts from the war. We simply lack the space here to include them all. Fortunately, however, the staff of the Centennial Commission has taken on the job of providing a list of all these presentations they hear about. Click HERE to view the current list. 100 Years ago the U-boat war was ramping up and capturing the world's attention with the tragic sinking of RMS Lusitania. Here's a good selection on that dimension of the Great War and how it was restarted for WWII. Australia was the first Commonwealth nation to fire shots in both World War I and World War II. What's even more interesting is that both times they were fired by the same gun at the same fort for the same purpose, that is, artillery at Fort Nepean attempting to prevent German merchant vessels from escaping through Port Phillip Heads, Melbourne Harbor. On 5 August a six-inch gun at the fort fired on the German vessel SS Pfalz, which was later converted to an Australian troopship. On 4 September 1939 another battery fired on what they thought was another German ship. That turned out to be mistaken, but it was still the Commonwealth first shot fired in anger in WWII. With such changed conditions it might be thought that the old principles of war had changed. But I do not thinks that is so. On the contrary the values of surprise and concentration on the decisive point are as great as ever. The difficulty is to apply these great principles under the changed conditions. 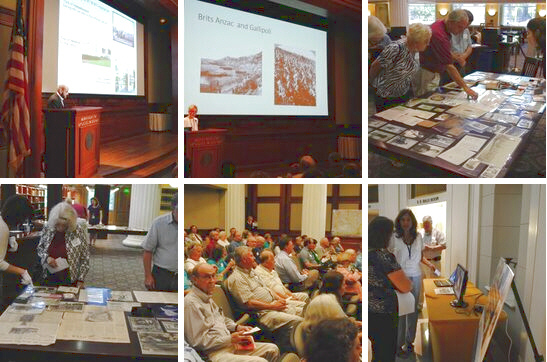 On Saturday 20 June, the East Coast Branch of the Western Front Association held a highly successful Spring History Symposium at the Maryland War Memorial Building in Baltimore. 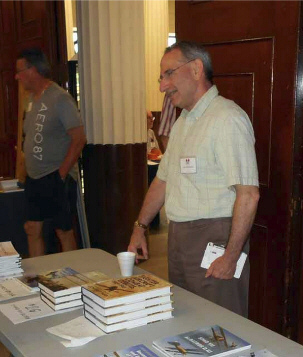 The program featured displays, authors autographing their World War I works, and a fine group of speakers. Below are some images of the day-long event from regular contributor Steve Miller. 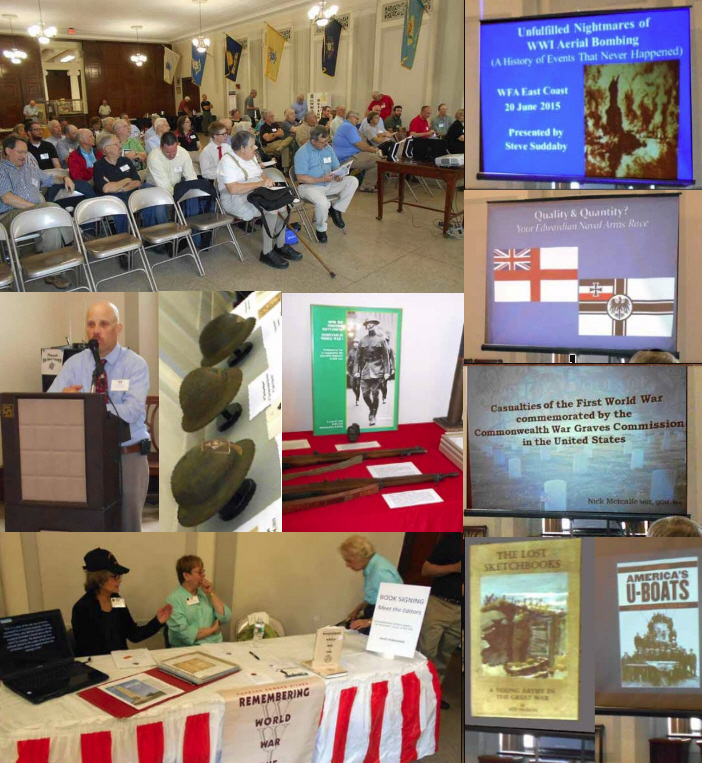 Two days later another successful Centennial event took place in Montgomery, Alabama. The symposium was sponsored by a group of Alabama-based organizations, including the Caroline Marshall Draughon Center, Auburn University, Alabama Department of Archives and History, and the Croix Rouge Farm Memorial Foundation, After a welcome and overview by Centennial Commissioner Monique Seefried, the speakers expanded on three major themes: the experiences of soldiers in the war, particularly the Doughboys, Alabama's wartime contributions on the battlefield and homefront, and commemorating the sacrifices made in the war. The U.S. Centennial Commission and its counterpart in France have endorsed a new documentary film on how America's sacrifices in war are remembered today, through the portraits of both an American family and a passionate historian of war battlefields named Gilles Lagin. After reviewing the organizer's proposal, I've decided that it is a project truly worthy of support. Naturally, the support that they need right now is of the monetary sort. 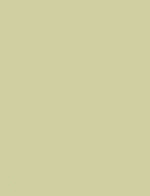 On behalf of Worldwar1.com, I have already pledged a contribution, and now I ask that our readers do so as well. Full information on the effort can be found at the link provided below. The film follows an American family�s pilgrimage as it retraces the steps of an ancestor who fought with the U.S. Marine Corps in the Second Division during the Battle of Belleau Wood. The three-week struggle for control of Belleau Wood in the Champagne region of France In June 1918 cemented the Marines� international reputation for tenacity and earned them their nickname the "Devil Dogs." The family�s guide on their pilgrimage is Frenchman Gilles Lagin, who has a consuming passion for this historic battle that originated during a childhood spent roaming the land where it took place. 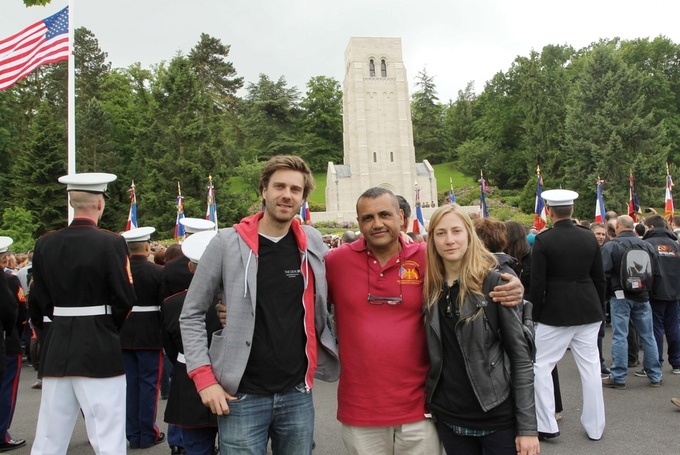 Gilles was made an honorary Marine in 2008, by Commandant General James Conway, in recognition of the lifetime of memories and research he shares with American families whose search for their roots brings them to the World War I battlefields of France. Shortly before midnight on Friday2 July 1915 police responded to the U.S. Capitol where an explosion had just rocked the Senate wing. Fortunately they found no fatalities � a byproduct of the fact that Congress was not in session and the building was lightly staffed at night. But, there was plenty of destruction and, obviously, great concern about security. The next evening, Washingtonians opened their Evening Star newspaper to find a peculiar letter under the headline "Letter Received by the Star Thought to Have Bearing on the Explosion." The diatribe began "Unusual times and circumstances call for unusual means" and quickly moved into a critique of American businesses supplying warring European countries with armaments. Paradoxically, the letter claimed that the attack on the Capitol was a call for peace "Europe needs enough noncontraband material to give us prosperity. Let us not sell her EXPLOSIVES! Let each nation make her own man-killing machines. Sorry I had to use explosives. (Never again.) It is the export kind and ought to make enough noise to be heard above the voices that clamor for blood money. This explosion is the exclamation point to my appeal for Peace!" The letter was signed, "R. Pearce" and included a postscript: "We would, of course, not sell to the Germans either, if they could buy here." It had been postmarked less than two hours before the bomb went off. Beside the letter ran an account of the other big news of the day. 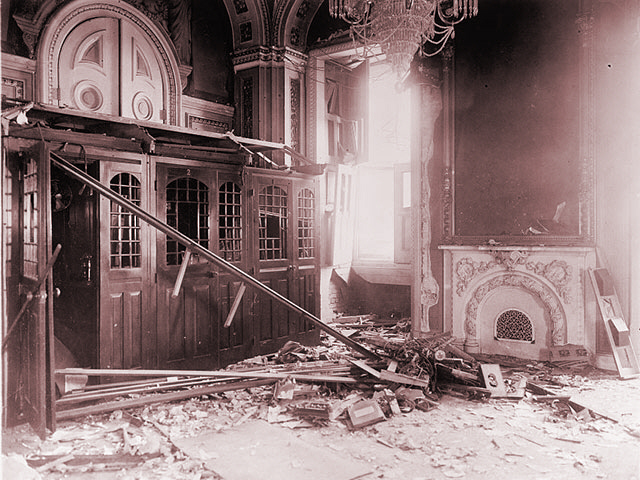 The morning after the Capitol explosion, banker J.P. Morgan had been attacked in his summer home on Long Island, New York, by an assailant who carried two revolvers and a briefcase packed with dynamite. Morgan suffered two flesh wounds before house servants overpowered the man and tied him up on the front lawn to await police. When Glen Cove, New York, detectives arrested him, the gunman identified himself as Cornell University German Professor Frank Holt. He told authorities that he had never intended to hurt Morgan � he just wanted to scare him. In a statement to the Justice of the Peace, Holt claimed, "My motive in coming here was to try to force Mr. Morgan to use his influence with the manufacturers of munitions in the United States and with the millionaires who are financing the war loans to have an embargo put on shipments of war munitions so as to relieve the American people of complicity in the deaths of thousands of our European brothers. District of Columbia Chief Detective Robert Boardman found the similarities between Pearce's letter and Holt's statement curious. After applying pressure the investigators got Holt to confess. It turned out that his name wasn�t even Frank Holt� or R. Pearce. It was Erich Muenter. And Erich Muenter had quite a past. He was a committed German Nationalist and connected with Germany's network of saboteurs in America. Unfortunately, on 6 July he committed suicide in his jail cell and took many secrets with him. This month, we are beginning a series covering authors who are on the leading edge of World War I research and writing. 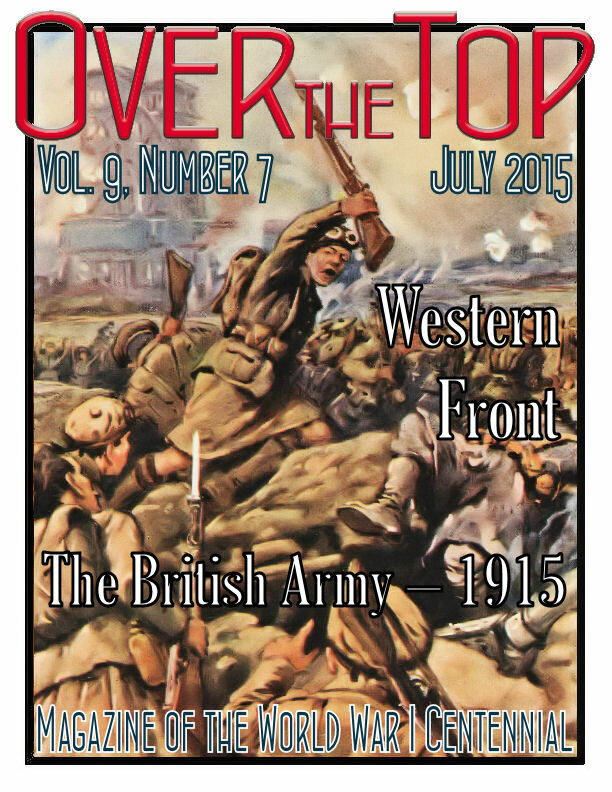 We are hoping to encourage our readers to support those who are doing fresh thinking about the events of 1914-18. This month we present aviation (and all-around military) historian Jon Guttman. He is currently research director for the World History Group and publications such as Military History, MHQ, World War II, Aviation History, America's Civil War, Civil War Times, Vietnam, and Wild West. Jon has also frequently appeared as a commentator on TV documentaries. Originally from Rockland County, New York, Jon Guttman has lived and worked in Leesburg, VA, since 1988. He was editor of Modern Warfare magazine from 1989 to 1990 and of Military History magazine from 1995 to 2006. His interest in World War I aviation evolved from his childhood, both from building models and reading his father's old aviation magazines from the 1930s. His writings on the air war are prolific and they cover its every aspect, aces, aircraft and operations. Since we are trying to parallel the war as it unfolded, his titles we recommend below touch on the early period of the war. However, a full list of his titles can be found through any of the Amazon.com links we provide. Jon has also written numerous articles on military and naval history, not only for his own employer, but for magazines in Britain, Canada, and Germany. His first book, Defiance at Sea, was published in Britain in 1995 and has been reprinted twice since. An aviation book, Fighting Firsts, was published in London in March 2000, and a picture book, World War II in Color, came out in 2010, followed by Pacific War in Color, in 2011. In addition to writing, Jon served more than 20 years in the Army National Guard, retiring as a master sergeant in the 29th Infantry Division (Light) effective 15 January 2005. In June 1994 he went to Normandy as a member of the division's color guard, to commemorate the 50th anniversary of the its participation in the landing on D-Day. He was also called to active service in and around Washington, D.C., during the January 1996 blizzard, and on peacekeeping duty in Bosnia and Herzegovina between September 2001 and April 2002. After a few remarks, the [Australian] captain asked us we would have a cup of cocoa with him. I had an idea he was joking, but knew that he was serious when he actually produced the beverage. It was about the last thing I had expected there. He explained that these little luxuries were furnished by the people in Australia through what was called "The Australian Comfort Fund." Then we were shown our position on the map and some aerial photos of the enemy trenches and those we were in. We were in the front line of trenches, although there were four outposts in advance of this line. A road separated two of the four outposts from the other two. It was necessary to cross this road in order to get from one outpost, or rather one group of outposts, to the other. There was no trench dug across this road. At night, the enemy swept the road with machine gun fire at varying intervals. The crossing was dangerous and had to be made very quickly. 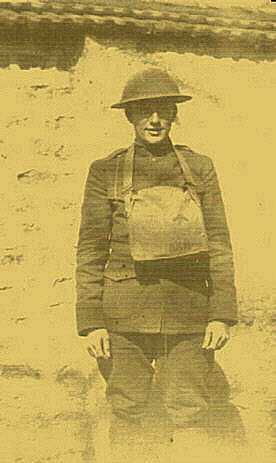 While in training at Camp Dix, we had spent considerable time and labor constructing trenches. Much care was taken to make them according to certain specifications. The trench should be a certain width at the top and a little smaller at the bottom. The ground removed in digging had to be placed in a certain manner, the sides revetted to prevent cave-ins and many other little details were extremely necessary in the construction of a good trench. Accordingly we had formed certain conceptions of trenches which were rudely shattered when we observed the real thing. Most of the trenches in this sector was little more than ditches, shallow ditches, connecting shell holes. Than they had been hurriedly made was evident. Returning from this little tour of inspection, we were introduced to a Sergeant Major who was to take us in charge for further instruction. He devoted a great deal of time to explaining and answering the many questions with which we plied him, many of which must have seemed foolish to him. We met many men, all of them friendly and sociable. They were willing to do all they could for us, answer all of our questions, and give us many little hints regarding trench warfare that were to be of use to us later. By this means we were able to profit from the mistakes they had made, without undergoing the same experiences in learning them. 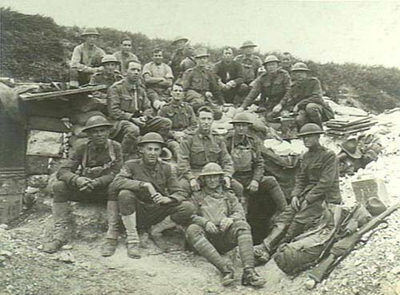 They were particularly glad to know that American troops were in France and said they expected a great deal from them. Just after dark, I was invited to go for a walk. Not knowing where or why, I consented to without question. But when I was told to put my rifle in working order and to take a few hand grenades with me, my enthusiasm was not quite so keen. But I said nothing about my feelings to anyone. I had never seen a loaded hand grenade and we knew nothing about its operation except what I had learned from our lectures. I did know one thing and that was if the pin was pulled out of the grenade, it was time to throw it away as I had no further use for it. I followed my two companions up and out of the trench into "No Man's Land," the area between the two front lines. At one time this area had been a prosperous farm. It was covered with wheat, now nearly ripe. While we moved along as quietly as possible, it seemed to me that the sound would be audible for miles. We proceeded until we reached a line of barbed wire in front of the Australian trenches and passed along the line until an opening was found, thru which we passed. Several times we were forced to remain perfectly still while a flare burned overhead. These flares transformed the night into day and while they burned for a comparatively short period of time, it seemed as though they would burn forever. When I heard the first machine gun bullets crack I wanted to get down on the ground, but followed the actions of the other two and remained standing. I soon learned that you could be reasonably certain that you could not be hit by a bullet that sounds that way. Once we had to get down and had to do it very quickly too! In doing so, one of the Australians encountered the putrid body of a dead German who had been there for some time. The stench from it was almost unbearable. The [Aussie] proceeded to hold a monologue in which he gave vent to his feelings with a series of oaths that would have made Satan himself blush. Without further excitement, we proceeded until we reached the enemy line of barbed wire. Passing along and examining it showed that there had been no gaps cut in the wire, which indicated that no action of any consequence was planned over the next few hours. We returned to our starting position again and sat down in the shelter of a small dugout to rest and await further developments. SMS Königsberg was the lead ship of her class of light cruisers built by the Imperial German Navy and was launched in December 1905. In April 1914 Fregattenkapitän Max Looff took command and the ship was sent on what was to have been a two-year deployment to German East Africa, but this was interrupted by the outbreak of World War I in August of that year. 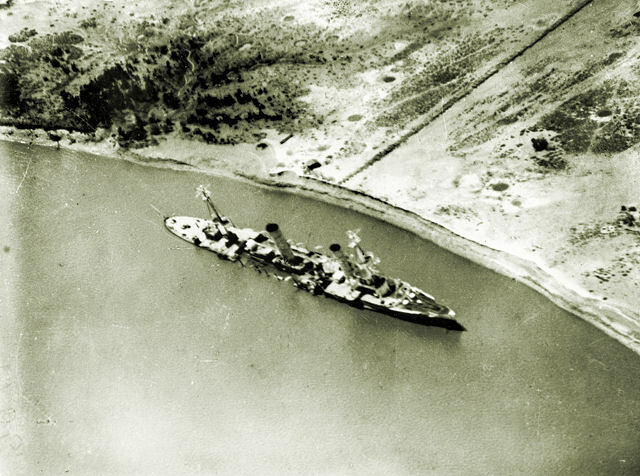 Königsberg initially attempted to raid British and French commercial traffic in the region, but only destroyed one merchant ship in the course of her career. Coal shortages hampered her ability to attack shipping. On 20 September 1914 she surprised and sank the British cruiser HMS Pegasus in the Battle of Zanzibar. She then retreated into the Rufiji River to repair her engines. During this time, the British reinforced the ships tasked with tracking down the elusive German raider and placed the ships under the command of Captain Sidney R. Drury-Lowe. 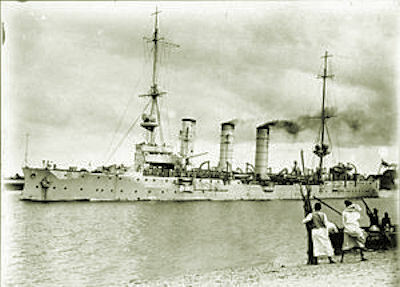 On 19 October the cruiser Chatham found the German East Africa Line ship Präsident at Lindi. A boarding party searched the ship and discovered documents indicating she had supplied Königsberg with coal the previous month. On 30 October the cruiser Dartmouth located Königsberg and Somalia in the delta. 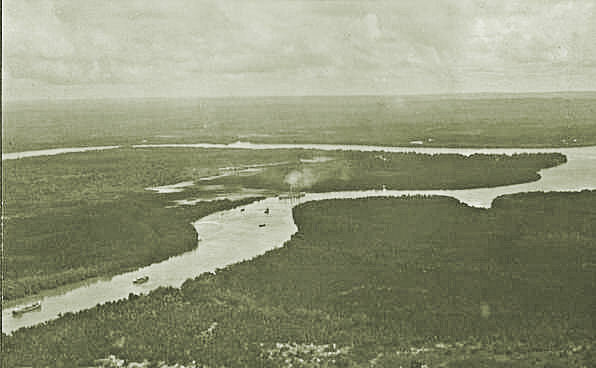 Chatham, Dartmouth, and Weymouth blockaded the Rufiji Delta to ensure Königsberg could not escape. However, the shallow draft of the river also insured that large Royal Naval ships could not get within firing range of the Königsberg. After several attempts to sink the ship including bringing in an obsolete battleship to attempt to reach the cruiser with longer range guns, the British sent two monitors, Mersey and Severn, to destroy the German cruiser. 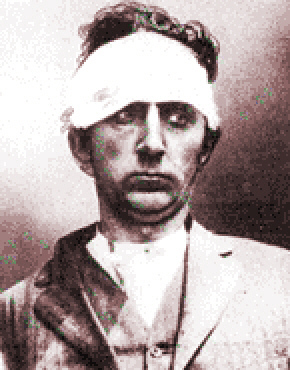 They were driven off, however, in a three-hour fight on 6 July. On the 11th, the two monitors got close enough to severely damage Königsberg, forcing her crew to scuttle the ship. The surviving crew salvaged all ten of her main guns and joined Lieutenant Colonel Paul von Lettow-Vorbeck's guerrilla campaign. The 10.5cm guns played especially prominent roles for the Germans for the rest of the war, acting as the theater's heaviest field artillery, used in harbor fortifications, and even remounted on the converted ferry Gützen, the German "capital ship" of the inland Lake Tanganyika fleet. The rusting remains of the wreck disappeared into the river bed in 1966.